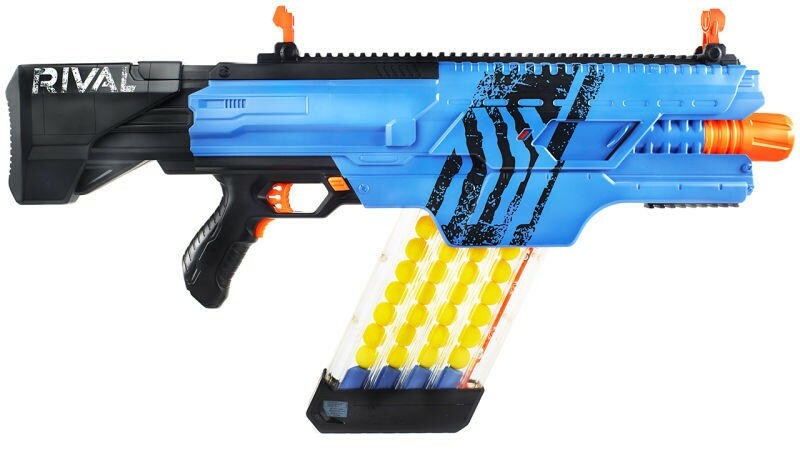 Nerf has unveiled two new blasters that are capable of shooting foam balls up to 68 miles per hour. You heard right: 68 MILES PER HOUR. The blasters, part of the toy maker’s Rival lineup, were unveiled at Toy Fair over the weekend. Suffice it to say, if you have a sibling you don’t like, they’re in for a rude awakening. 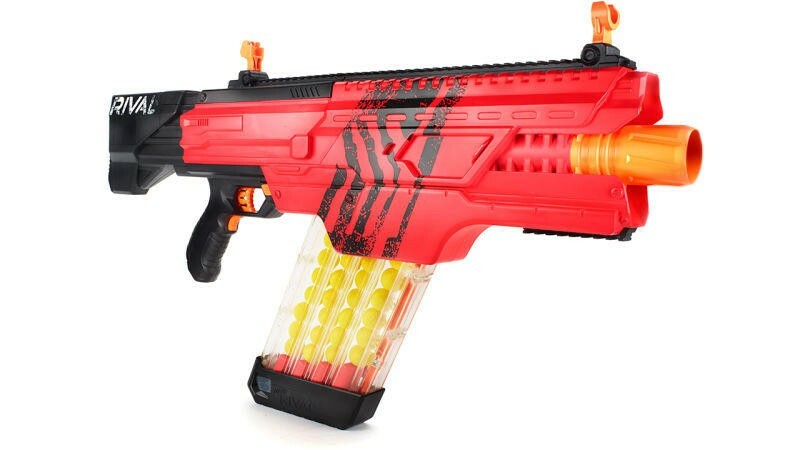 Despite their unnecessary power, Hasbro, owner of Nerf, said the foam ball the gun shoots won’t actually hurt. (Sure, tell that to the poor kid who just got shot in the face.) Back in my day, Nerf guns could barely shoot a dart across the room. These things have really gotten an upgrade since then. Nerf actually has a few different Rival blasters capable of shooting balls at unholy speeds. 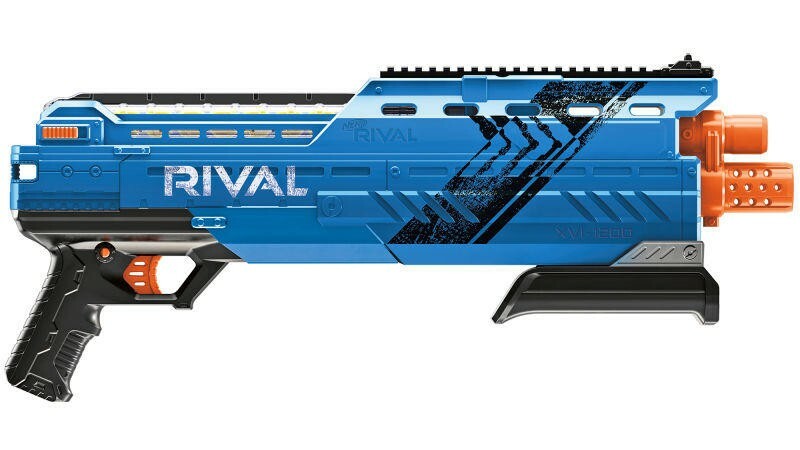 The KHAOS MXVI-4000 is the more premium of the two, and comes in at $70; the other model, new for this year, is the ATLAS XVI-1200 and retails for $40. The ATLAS requires a little more work in that users need to manually pump the gun before firing. Both blasters are slated to come out this fall.